After five years at Memorial Stadium, a Seattle public high school facility with soccer roots dating back to the NASL Seattle Sounders in the early 1970s, the NWSL's Seattle Reign is on the move. 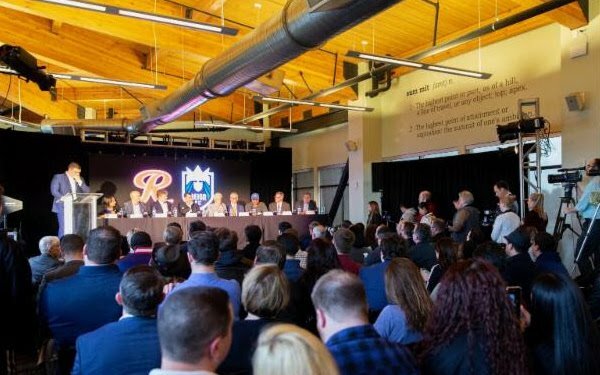 In a move forced because of what its owners, Bill and Teresa Predmore, termed a "constellation of challenges," the club is moving to Tacoma, 35 miles south of Seattle, and has been renamed Reign FC. It will play its home matches at Cheney Stadium -- home of the minor-league baseball Tacoma Rainiers and Tacoma Defiance, the rebranded Sounders FC 2 -- beginning with the 2019 NWSL season and then move into the new soccer facility the Rainiers and Sounders intend to build next to Cheney Stadium. The move also comes with a injection of new owners. The group operating the Rainiers and S2 took “a significant minority ownership stake’’ in the team, and Sounders owner Adrian Hanauer and his mother, Lenore, have acquired minority ownership stakes. *Played at Starfire Stadium in Tukwila. Memorial Stadium, owned by Seattle Public Schools, has a long history but had too many problems -- issues with safety, accessibility, security and seismic standards -- for it to continue to work as a home for the Reign. ”It’s a 71-year-old building," Reign owner Bill Predmore, "and there were intractable challenges in that space that money alone wasn’t going to solve." In a letter to Reign fans, Predmore and wife Theresa, a co-owner, stated that Memorial Stadium's playing surface does not meet U.S. Soccer's Pro League Standards and another waiver was not going to be extended. The stadium facilities were also not good enough for national television broadcasts to air from the venue and the Reign was not allowed to sell alcohol at the site. For a while, the Seattle Public Schools contemplated tearing down the stadium and re-building it, but those plans weren't included in a capital levy Seattle residents will vote on in February. Ultimately, the Predmores decided not to pursue doing the stadium renovation work themselves and the stadium lease with Seattle Public Schools was not extended beyond the 2018 season. The Predmores listed seven other stadiums in and around Seattle they explored as possible venues, but all failed to meet Pro League Standards in terms of non-compliant playing surface or non-compliant seating or in the case of T-Mobile Field, home the baseball Seattle Mariners, would have cost so much money to convert the field back and forth from baseball to soccer that it wasn't economically feasible. The only other possibility: Century-Link Field, home of the Sounders and NFL Seahawks. It meets Pro League Standards, but a deal with First & Goal, owner of the stadium and Seahawks, couldn't be worked out. 2 comments about "NWSL's Reign forced to leave Seattle for Tacoma because of 'constellation of challenges'". R2 Dad, January 31, 2019 at 12:36 a.m.
That's only 33 miles but who wants to sign up for a two-way trip up and down I5? That is a terrible drive any time of day. Good luck Reign, maybe you'll be able to pull in new fans who didnt want to drive up to Seattle previously. Bradley Rogers, January 31, 2019 at 10:55 a.m. Anything of the impacts on their DA program?